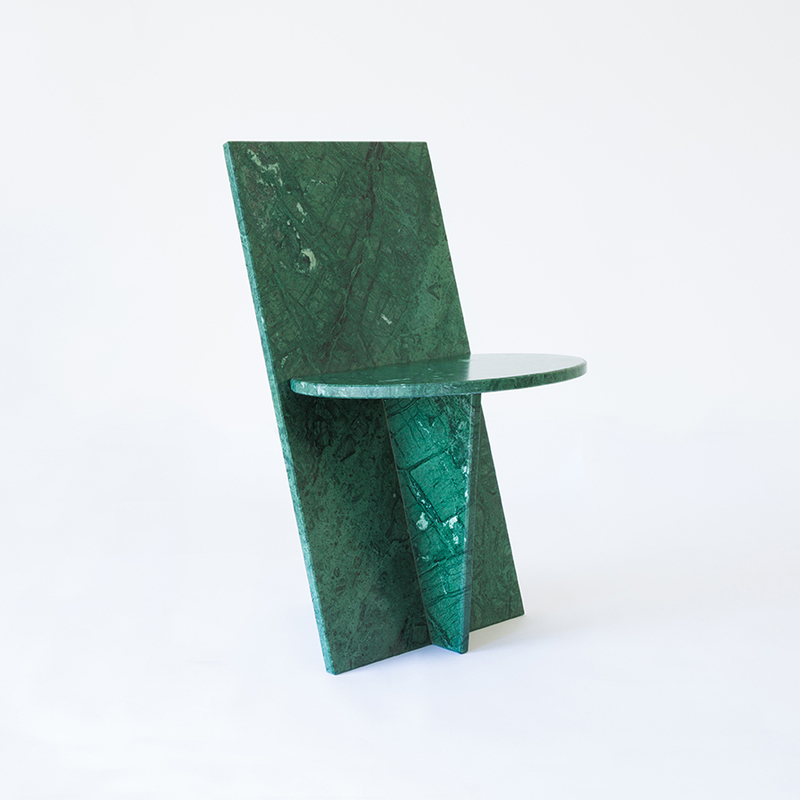 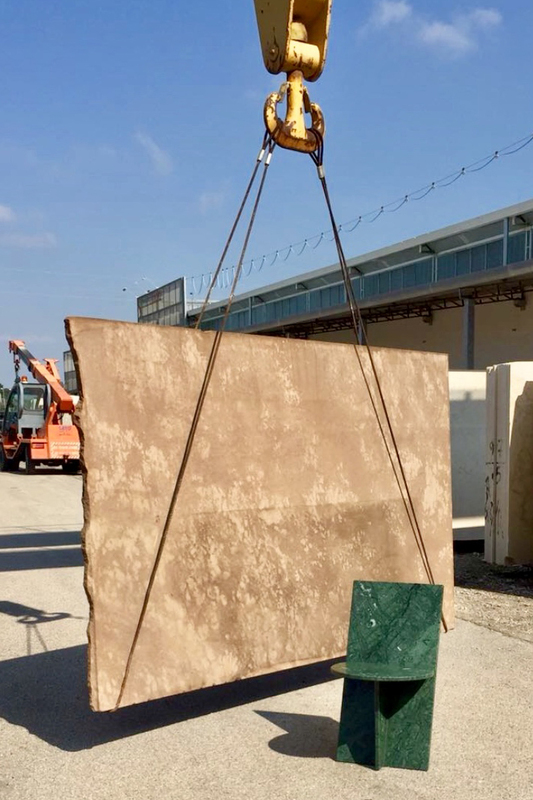 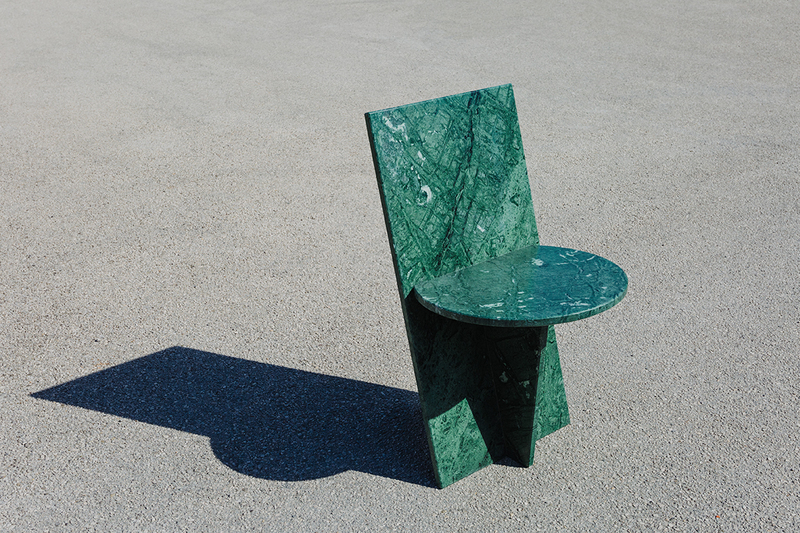 The Flat Marble Chair project was born from my need not to waste such a precious natural material. 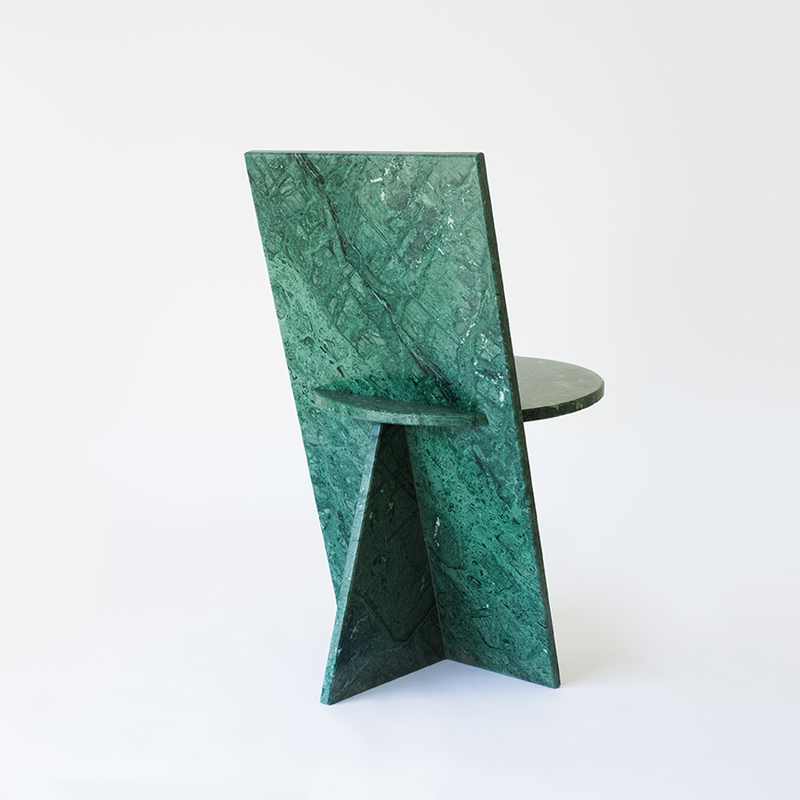 I designed a chair that acquires volume thanks to the intersection of three slabs, 2cm thick, with pure geometric shapes: a rectangle, a circle and a trapezium. 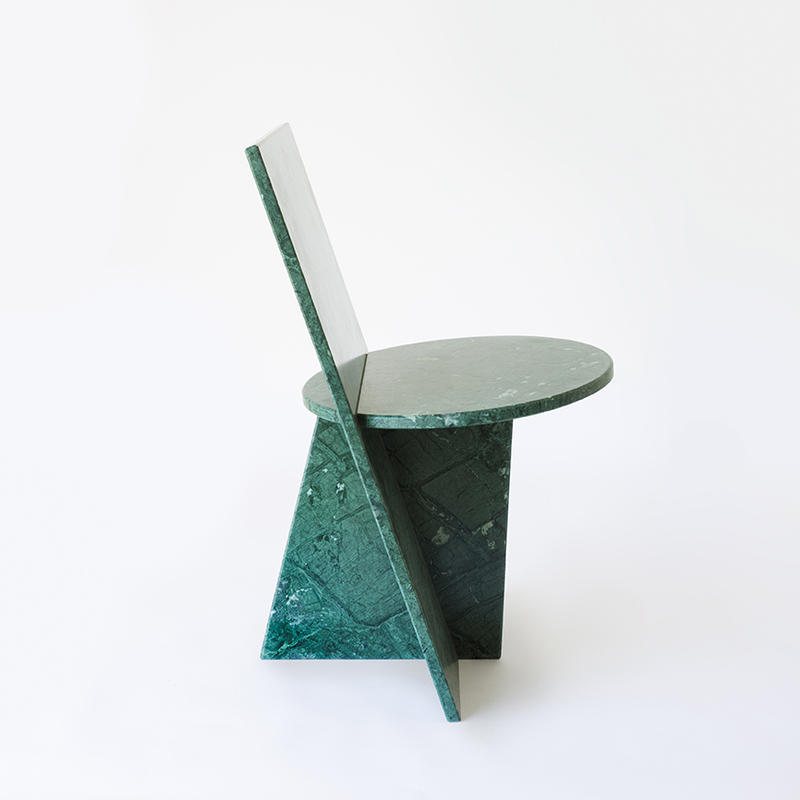 The result is a play of balances between jutting inclined planes. 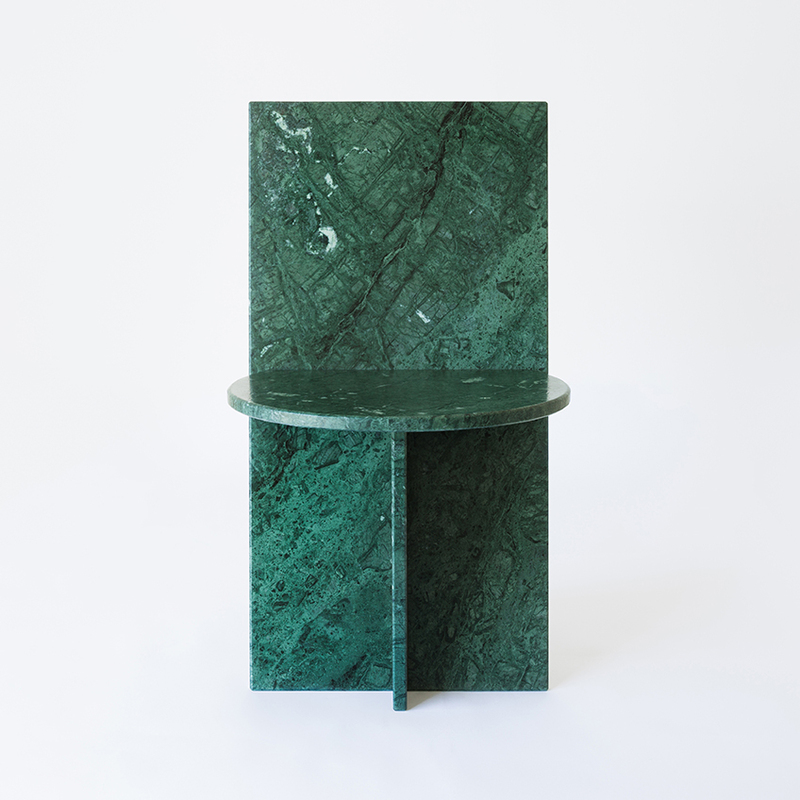 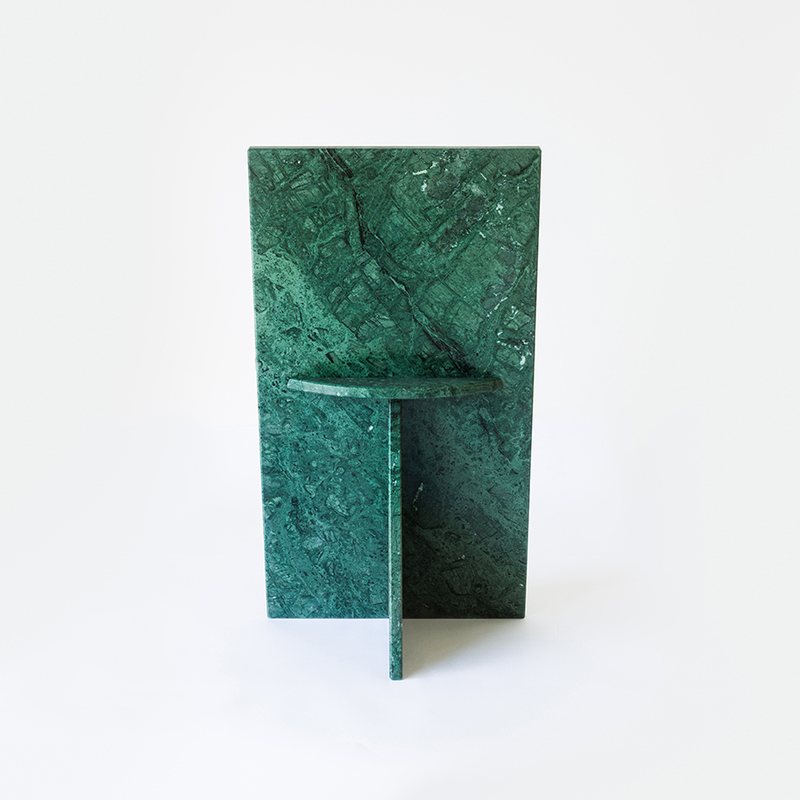 In this way, the veining of marble are co-protagonist in the chair.